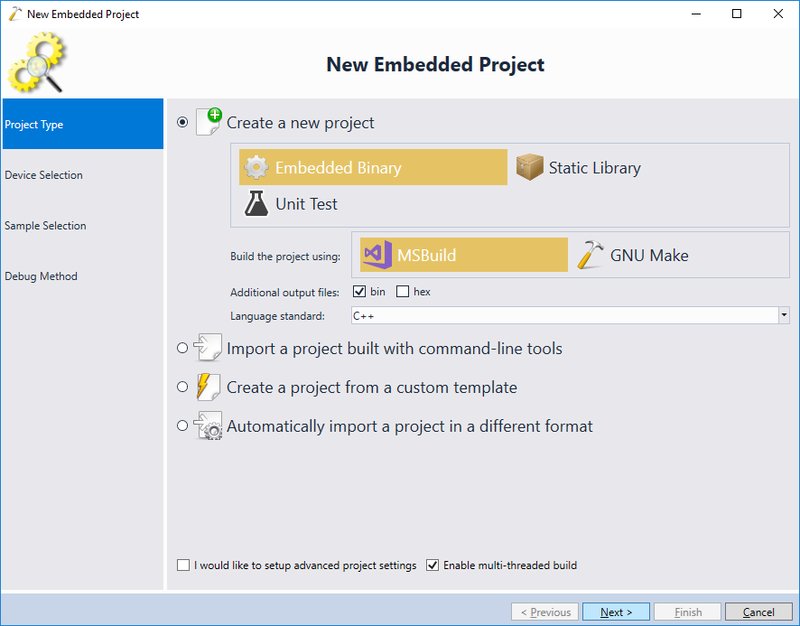 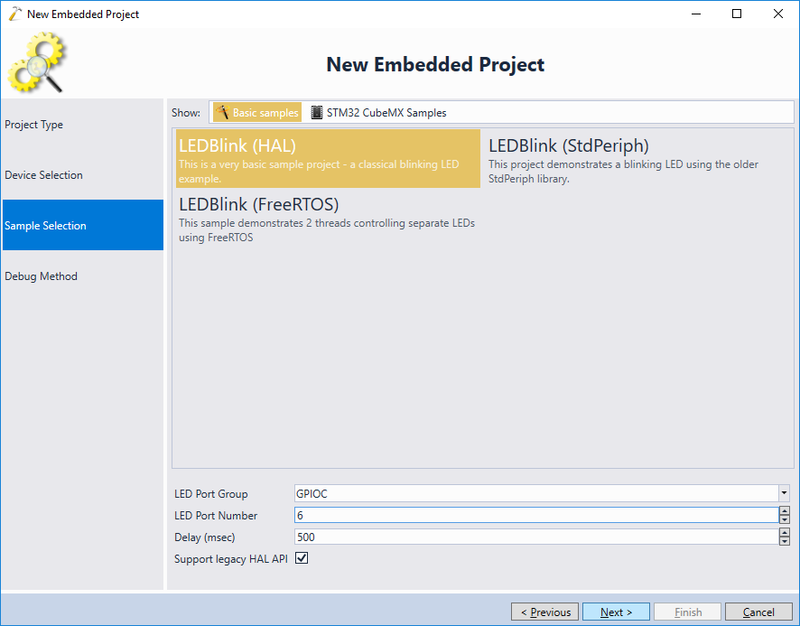 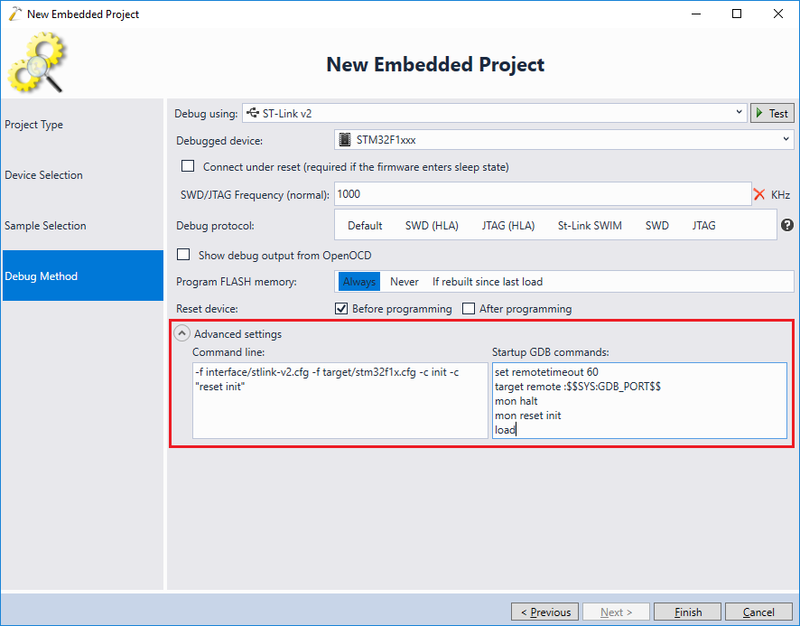 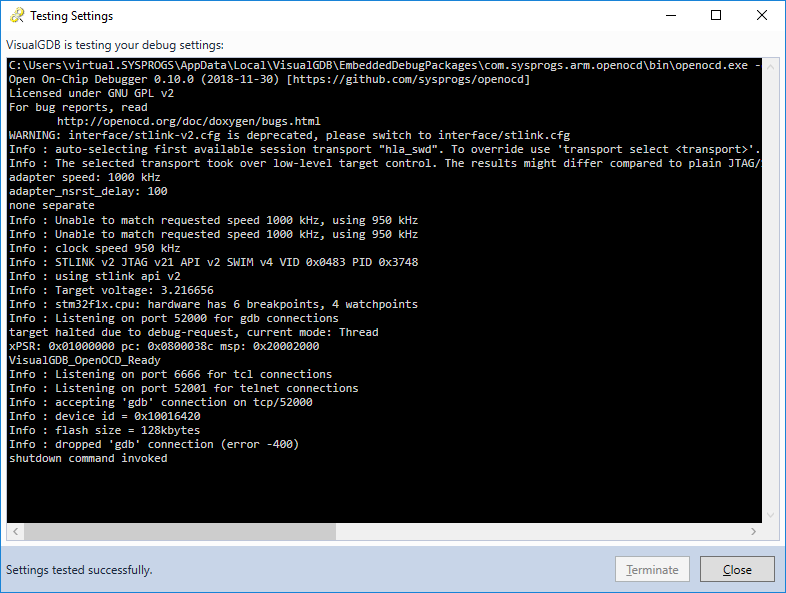 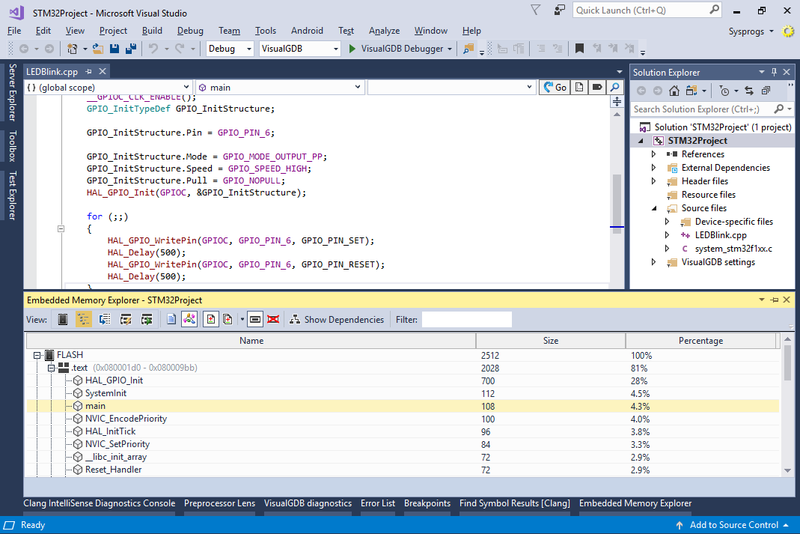 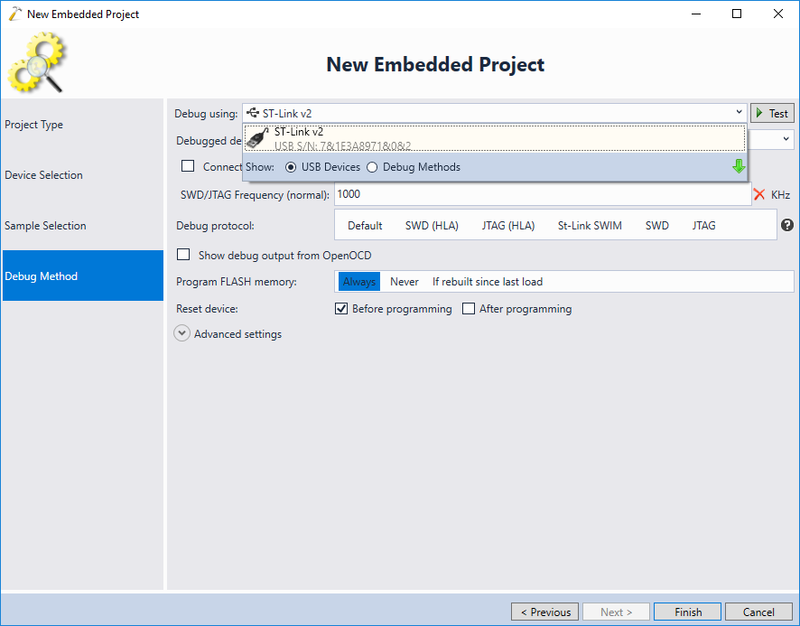 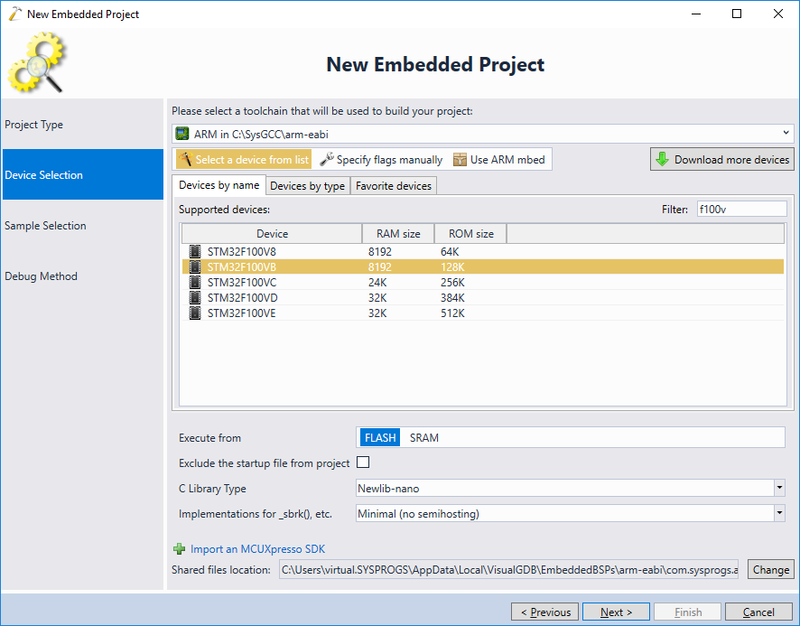 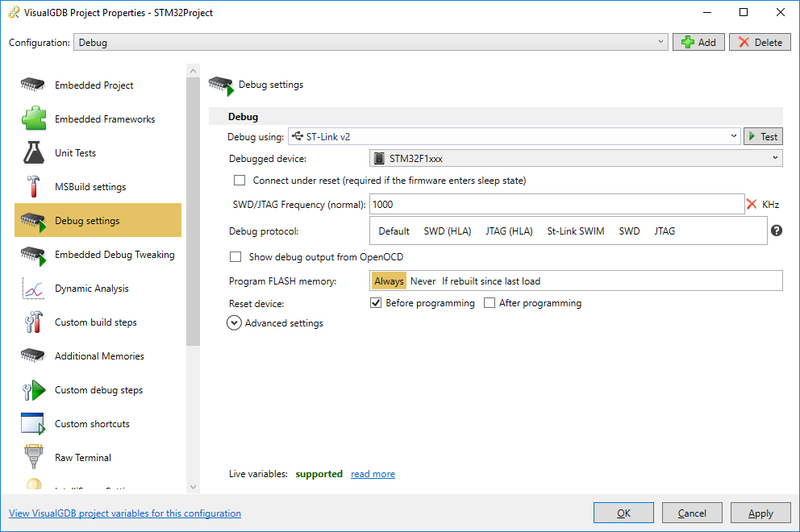 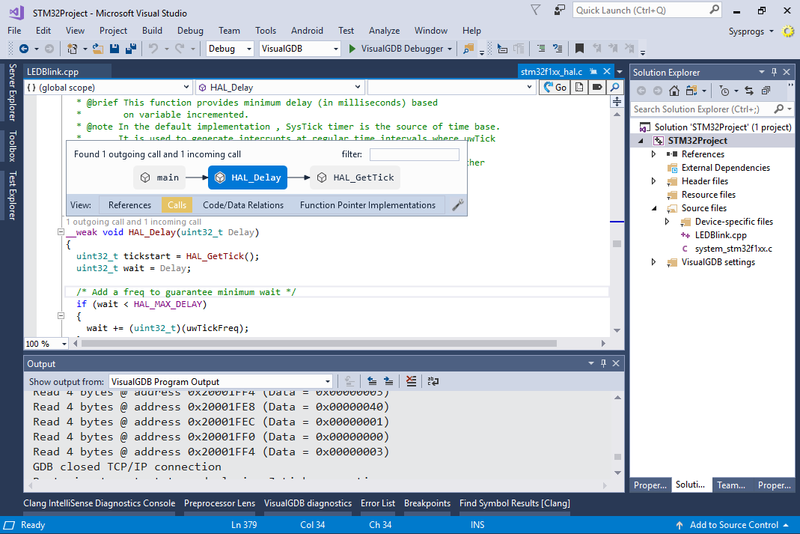 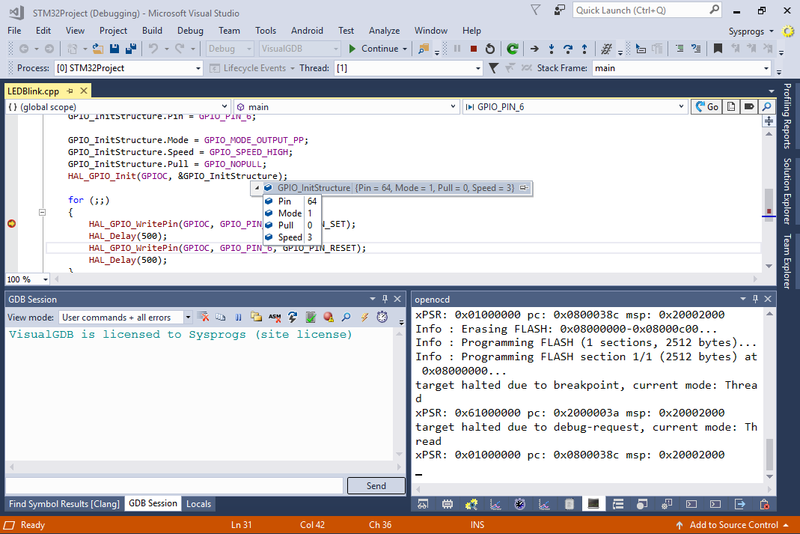 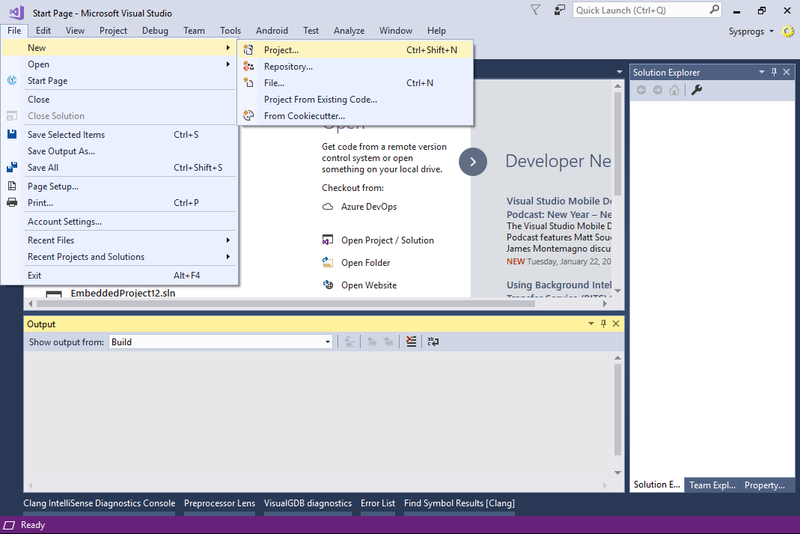 This tutorial shows how to debug your embedded STM32 projects using ST-Link hardware debugger, OpenOCD and Visual Studio with VisualGDB. 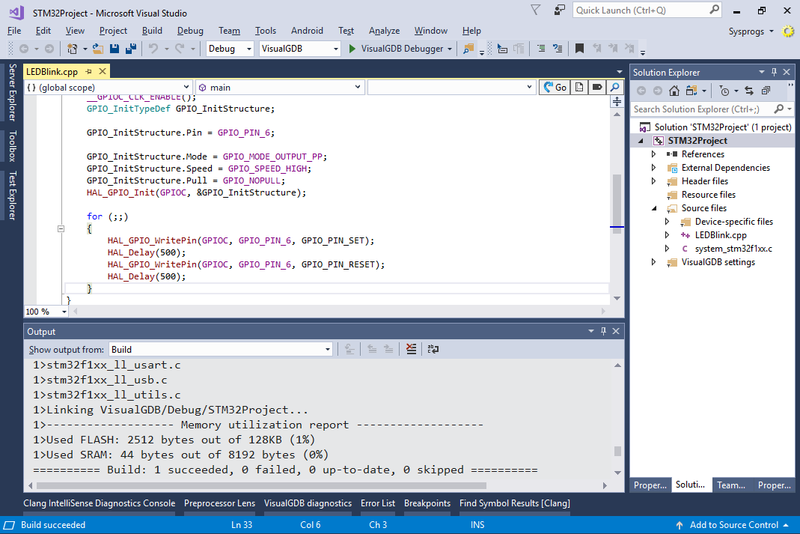 Before proceeding with the tutorial please ensure that VisualGDB 4.0 or later is installed. 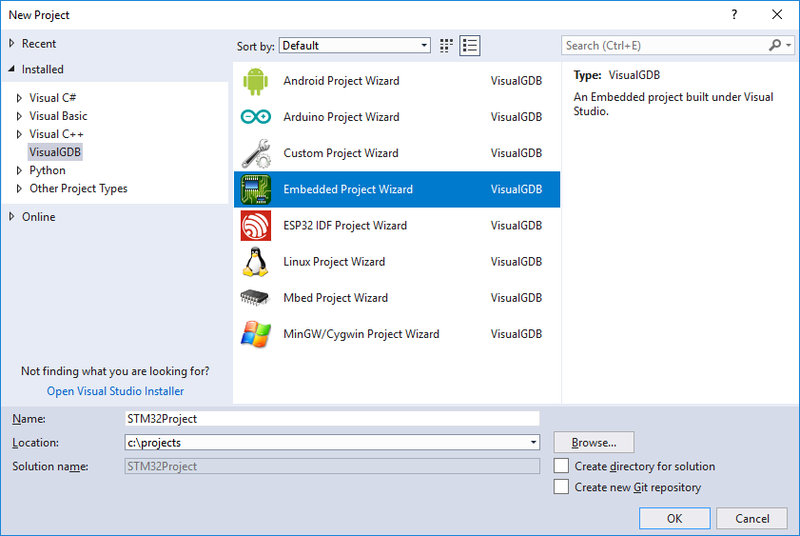 When you are done debugging, you can modify various project properties by right-clicking in the project node in Solution Explorer and selecting “VisualGDB Project Properties”.